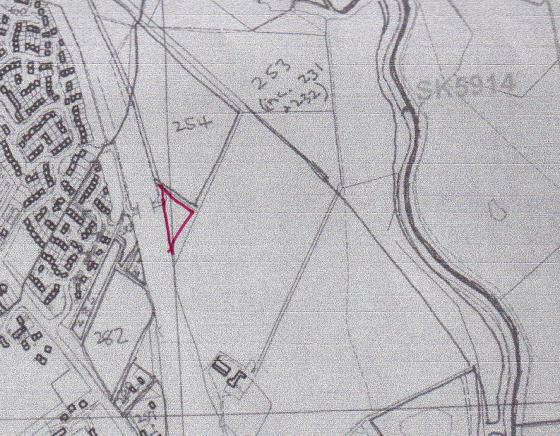 This is another small parcel of land created as a 'lost corner' due to the A6 By-pass cutting through the main part of the original field. According to the map it is not included in Mountsorrel Meadows (it is in Rothley Parish) or part of the Rothley Lodge Wildlife Site. Mountsorrel Meadows, Site 254 as one field is in Rothley Parish, is a Leicestershire and Rutland Wildlife Trust Site and Rothley Lodge Wildlife Site, Site 253 is owned by Charnwood Borough Council and under the care of Charnwood Wildlife at Charnwood Borough Council in Southfields in Loughborough. It is left as meadow at present and a good area for grasses. A footpath runs along one boundary, which leads to Mountsorrel, and the A6 By-pass is the other boundary.